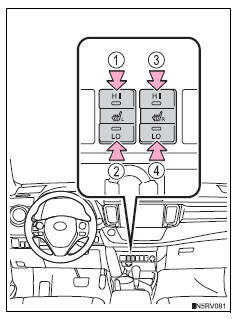 Turn the seat heater off by returning the switch to its level position. The indicator light turns off. Do not cover the seat with anything when using the seat heater. Do not use the seat heater more than necessary. Doing so may cause minor burns or overheating.